This week in the Shop we’re all about contract agreements. We know as designers, you hardly have enough time to finish your work before the all-approaching-deadline, much less have time enough to write up a contract for each job. Enter these new contract templates! All too often we take on multiple jobs and then realize we don’t have the time or resources to complete the project. 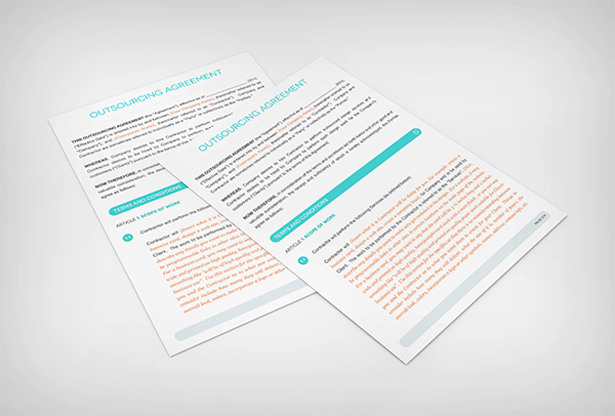 For those times that you need to outsource part of your project, use this new Outsourcing Agreement Contract Template. With the legal writing already in place, you’ll be able to customize this contract template to your specific needs and get the job done on time. Whether you’re getting ready to help a new company establish its online presence, or you’re looking for an SEO expert to do the job for you, this new Search Engine Optimization Contract Template will make the hiring and agreement process simple and to the point. 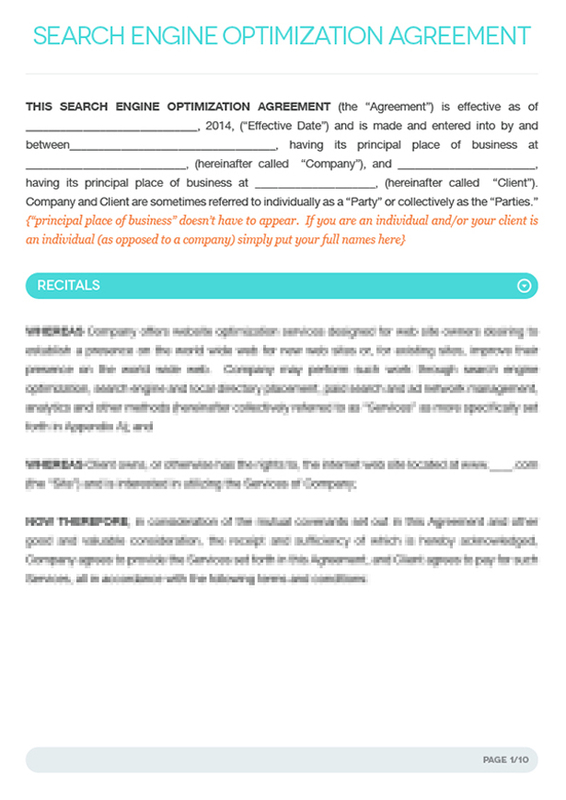 Keep your demands and agreements on pricing and timelines in one place with this new SEO contract template. We add new exclusive resources every week, so be sure to check back next Tuesday!